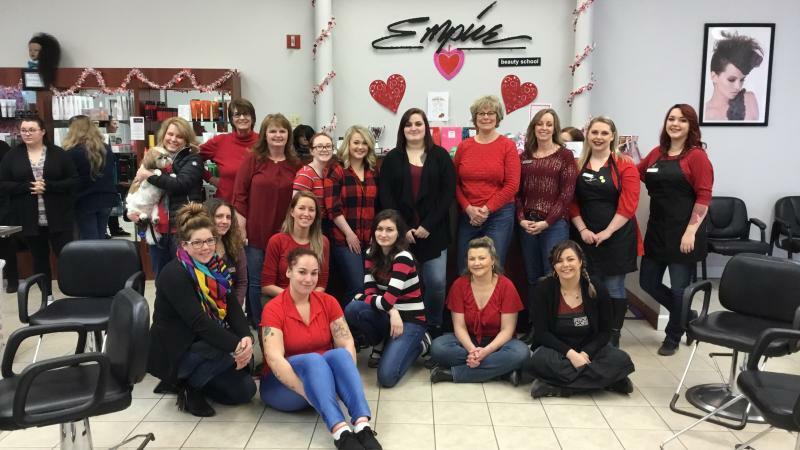 NH Humane Society is thrilled to be the beneficiary of the 'Open Arms with Puppy Love', a month long collaborative at Empire Beauty School in downtown Laconia. Running through the month of February, students will donate $1 per service provided at the school. They are also running a raffle consisting of handmade blankets made by some crafty folks at this beautician training center. Spreading good cheer, therapy dog Muffin has visited the school for a little puppy love encouragement for the students. Empire Beauty Schools have been providing creative instruction for the cosmetology, esthetics and barbering industry for over 50 years.